In today’s digital world, modern candidates act like consumers – they research companies, read employee reviews and listen to their social networks when exploring new opportunities. Job seekers touch about a dozen sources before deciding to apply. As such, we need to reach and engage candidates across a mix of channels and touchpoints. No longer is there a single touchpoint that serves as source of application or hire, but rather each touchpoint acts as a source of influence. Having a media strategy is common amongst Recruitment Marketing practitioners. However, much of the focus of a media strategy typically is on the paid media aspect, which is great if you have all the budget in the world! But how can we expand our media strategy especially when budget is limited? 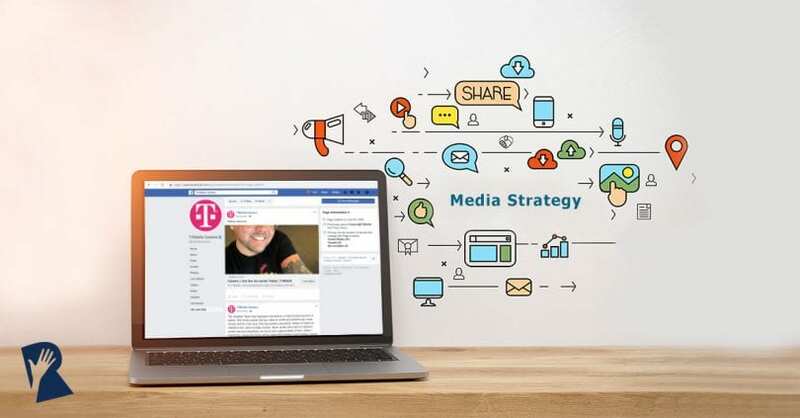 As part of the T-Mobile Employer Brand Marketing Team, my teammates and I are responsible for creating and managing integrated marketing strategies across paid, owned, earned and leveraged media. I want to share my insight with you on how you can take a comprehensive planning approach when thinking of media. Which media channels do we have access to? Which media channels should we use to reach our audience to achieve a specific goal? And how much should we spend on a media channel? 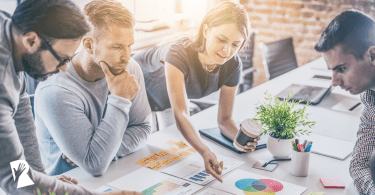 Let me provide an overview of what these terms mean and how building a strategy with multiple types of media can help you achieve your recruiting goals. Owned media refers to channels that your team owns and controls. Paid media refers to channels where you need to pay for visibility. Earned media refers to using the press and public as a channel to get your message out. Employer reviews on sites like Glassdoor, Indeed, Fairygodboss, etc. Leveraged media refers to the use of internal channels for leveraged support to get a message out. Now that you know what types of media you can consider using to reach an audience, it’s time to build out your strategy and pick which channels make the most sense to reach candidates. Your media strategy should evolve from the specific recruiting goals your team is prioritizing for a given time period. Ideally, the media strategy you pick and any spend you put behind paid media should help support your top priority goals. What Types of Goals Should Inform a Recruitment Marketing Media Strategy? Applicant driving campaigns are focused on getting specific jobs in front of the right candidates at the right time. Success is measured by the number of applicants a campaign produces. In Marketing, this is equivalent to Lead generation campaigns. What does a media strategy for an applicant driving campaign look like in action? From an owned media approach this might be using your organic social profiles and enhancing the features of your careers site to increase conversions. From a paid media approach this might involve using sponsored job ads and paid social posts targeted at a specific group. From an earned media approach this could involve asking your PR team to help place a hiring manager’s blog post as an article in relevant media outlets. From a leveraged media approach this might involve activating your leaders and employees to share careers content on their social networks. Brand awareness campaigns involve marketing your Employer Brand which helps with long-term pipeline building rather than filling a specific job now. These types of brand-led – rather than job-led – campaigns are a bit more strategic and are gaining prominence in Recruitment Marketing. What does a media strategy for a brand awareness campaign look like in action? From an owned media approach this might involve publishing employee stories on your social profiles and careers website. From a paid media approach this might involve creating display ads that communicate your EVP and draw people in to learn more about your company. From an earned media approach this could involve asking your PR team to help amplify your best place to work awards. From a leveraged media approach this might involve activating your leaders and employees to share photos of your recent community volunteer activity with their social networks. 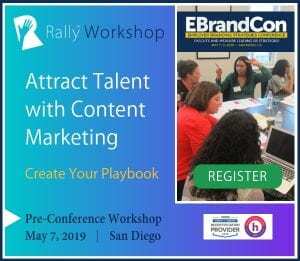 There are many other types of goals you might have that could influence your media strategy, like trying to improve your attendance at events or building your talent network. However, these are the two most common ones that should provide some good examples of how you can support other goals with a media strategy. The most important thing to consider is what channels you can use to reach an audience and drive them to whatever your desired action might be. Once you’ve picked your focus, it becomes easier to narrow down and identify which channels and messages will make the most sense to achieve that aim. Fleshing out what media channels you have access to and building a strategy around that to support your team’s recruiting goals is a smart approach borrowed from marketing. And it’s exactly the type of strategy that will help you see some real long-term success with your Recruitment Marketing program in 2019 and beyond! 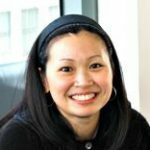 Marie Lo is a Senior Employer Brand Marketing Manager at T-Mobile, where she is responsible for creating and managing integrated marketing strategies across paid, owned, earned and shared media. She works with all forms of media and marketing channels to help tell stories about T-Mobile's culture and people.